Rep. Alexandria Ocasio-Cortez said she was not offended when House Speaker Nancy Pelosi butchered the name of the New York Democrat’s Green New Deal. 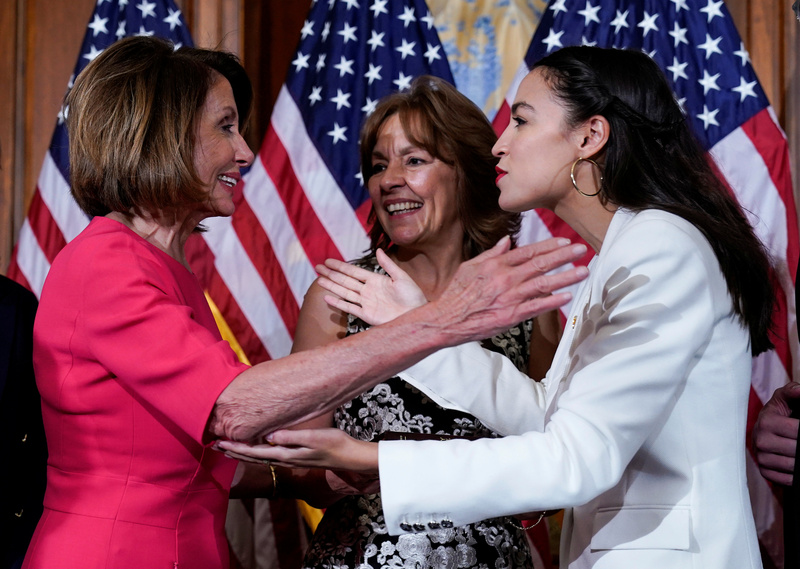 “There is no greater champion on climate change than Nancy Pelosi,” Markey said, following up Ocasio-Cortez’s response. Pelosi seemingly dismissed Ocasio-Cortez’s bill in an interview with Politico. Pelosi has referred to climate change as her “flagship” issue. The Green New Deal is an outline of objectives to transition the U.S. to 100 percent renewable energy in roughly 10 years. The resolution also calls for a variety of social justice and welfare investments, such as “repairing historic oppression” of certain groups. Republicans began criticizing the proposal soon after news of what was in the resolution broke. Ocasio-Cortez’s resolution also took heat from environmentalists upset that the means and goals outlined in the document did not go far enough.